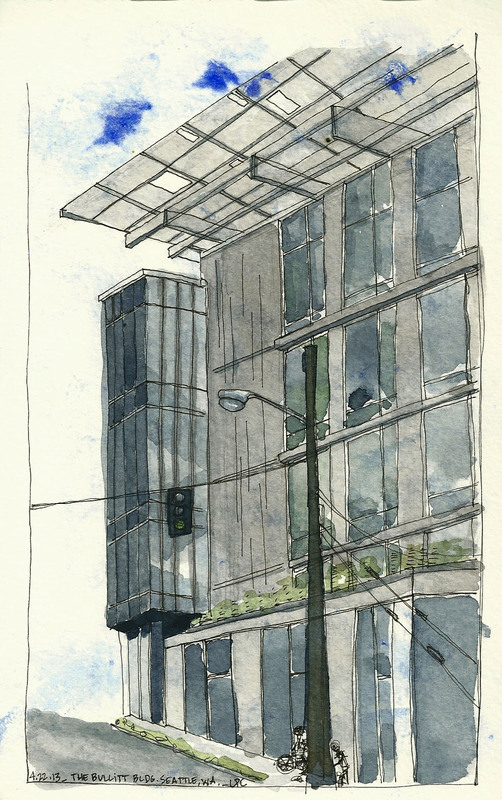 I made the first sketch of the Bullitt Building on July 29th, 2012 from the rooftop of our condo at 14th & Pine while it was still under construction. I no longer have this view because a new apartment building has risen to hide it. This week The Greenest Commercial Building in the World http://bullittcenter.org/ had it's grand opening! 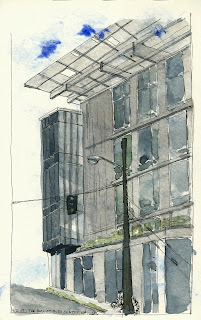 It is fun to look at with all of it's crazy angles, glass and solar panels. 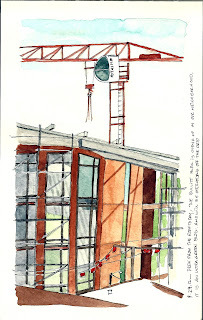 I made this second sketch in the morning before crowds were lined up to get in for the open house. I feel certain it won't be the last time I draw this structure. 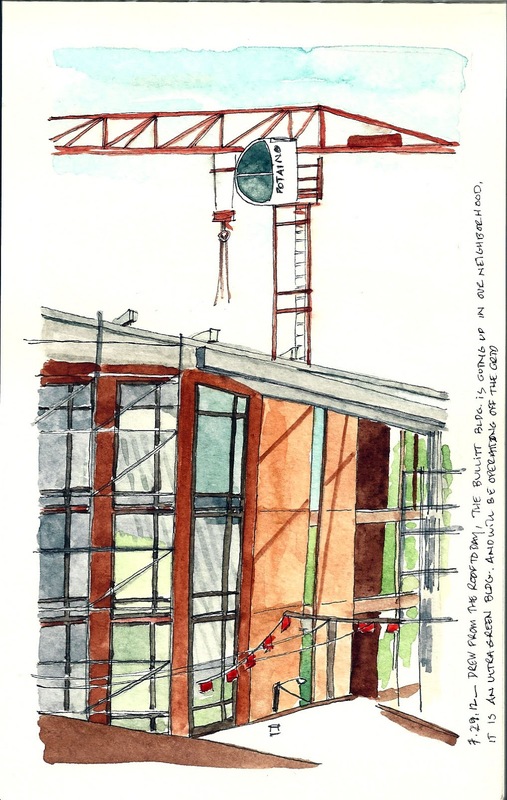 Great sketches, Lynne! The glass surfaces and perspective are beautiful.